I’m a firm believer in the Law of Attraction – the idea that you attract the same energy you put out. 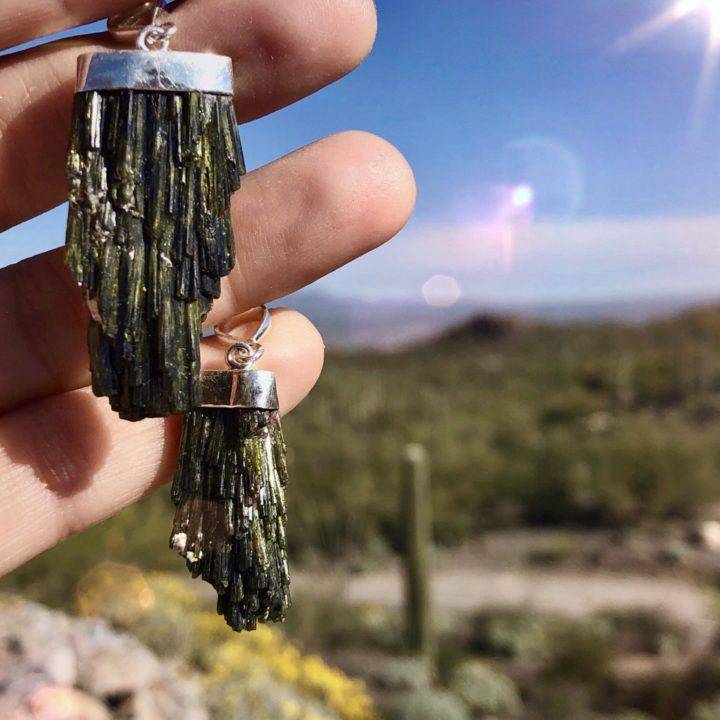 These natural green epidote pendants will uplift your vibration, helping you magnetize prosperity, success, and joy powerfully into your life! 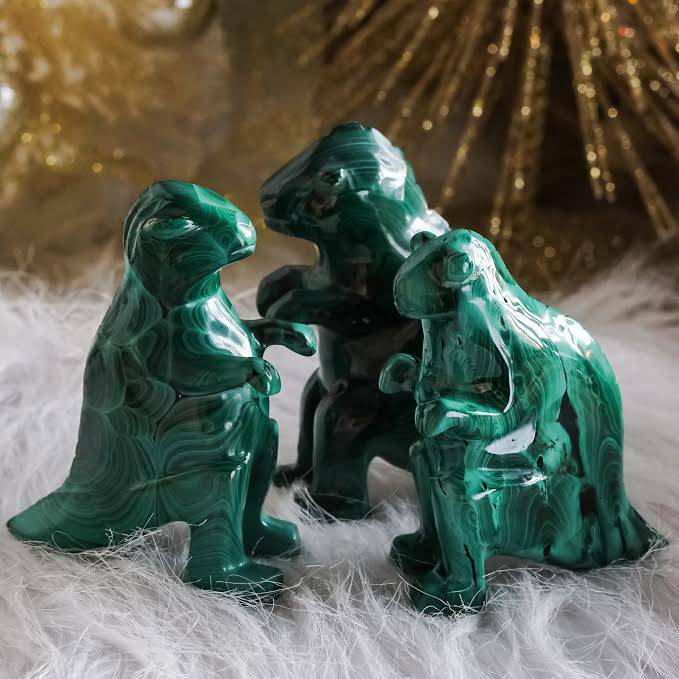 I found these incredibly rare beauties at the Tucson Gem Show, and their extraordinary manifestation magic can be felt as soon as you pick them up. Each one is unique in shape and I handpicked each one myself. The name “epidote” comes from the Greek word for “increase”. 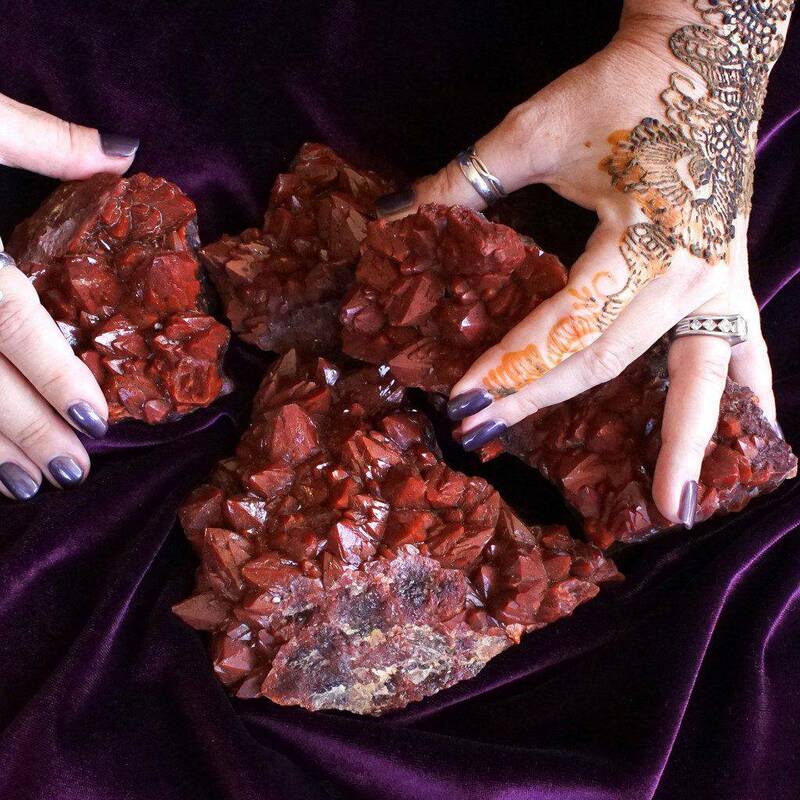 This gem is known as an attraction stone because it brings more of what you create and desire. If you’re focused on manifesting prosperity and success, epidote removes energetic obstacles that stand in your way. This gem clears the auric field, grounds the spirit, and provides gentle protection as you merge your dreams with reality. Adorn yourself with one of these pendants to begin experiencing the magic! I recommend wearing yours in meditation and closing your eyes as you envision what you wish to manifest. Make it clear to the universe what you wish to call into your life, then feel how it would feel if you had already received it. Express your gratitude to your angels and guides, and let the sacred magic of your pendant unfold. 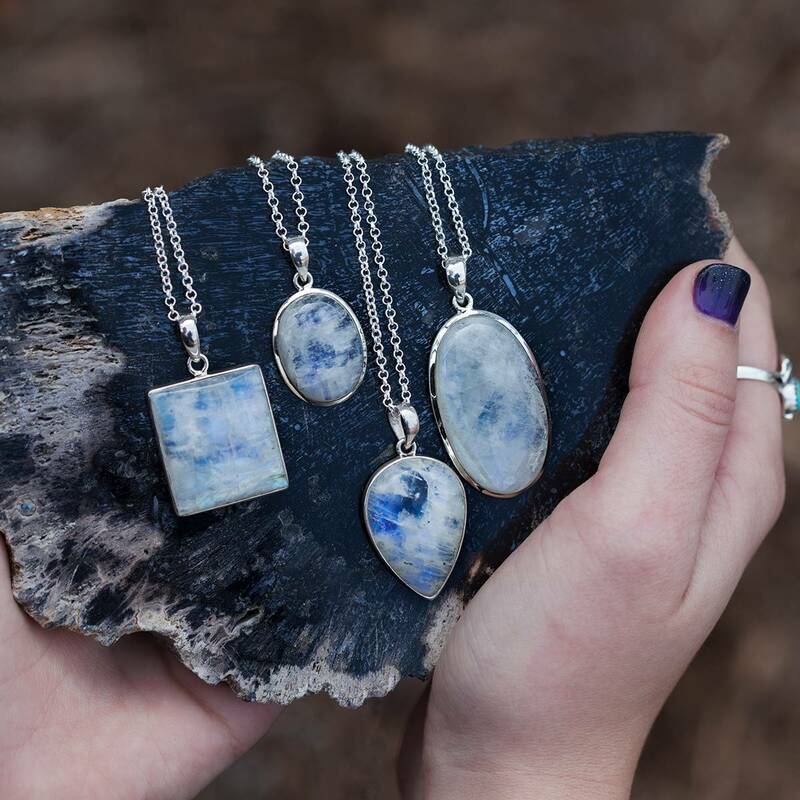 Enjoy this magical offering, straight from the Tucson Gem Show! 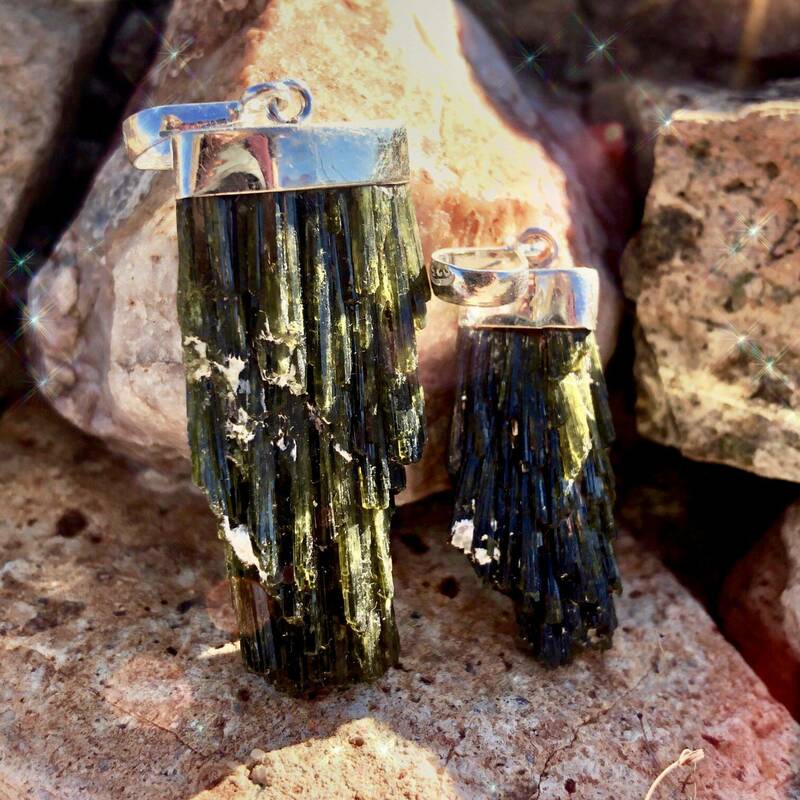 This listing is for one (1) green epidote pendant set in a sterling silver bail. I have two sizes to offer you: Small (about 1”) and Medium (about 1.5”). Yours will arrive lovingly parceled along with a single leaf of white sage and a card describing the properties of the stone.